British and American badges from the 1970s onwards. Plastic, paper and metal. © 2017 Trustees of the British Museum. LONDON.- 2017 is the 50th anniversary of the passing of the Sexual Offences Act in July 1967. This legislation partially decriminalised homosexuality in England and Wales and marks an important milestone in the campaign for equality. The display Desire, love, identity: exploring LGBTQ histories marks this anniversary. There will also be an accompanying trail highlighting fourteen key objects in the permanent galleries. 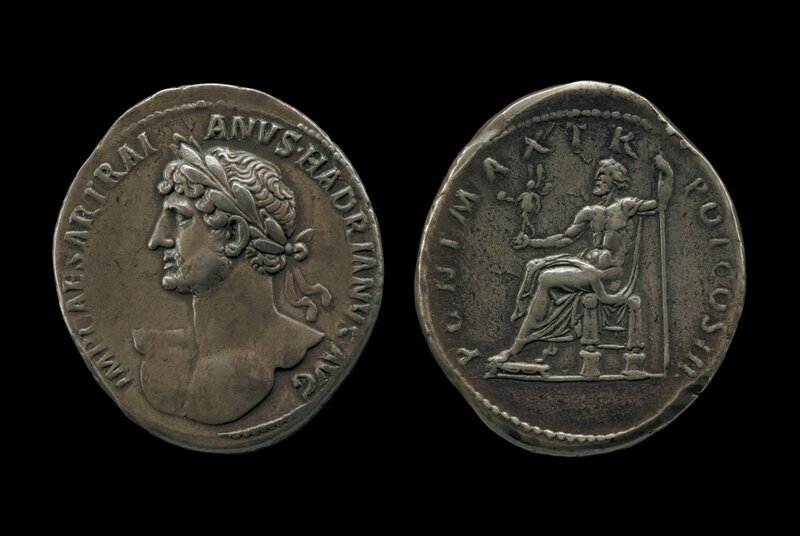 Silver medallion with the bust of Hadrian (r. AD117-38). Minted in Rome, AD119-122. © Trustees of the British Museum. 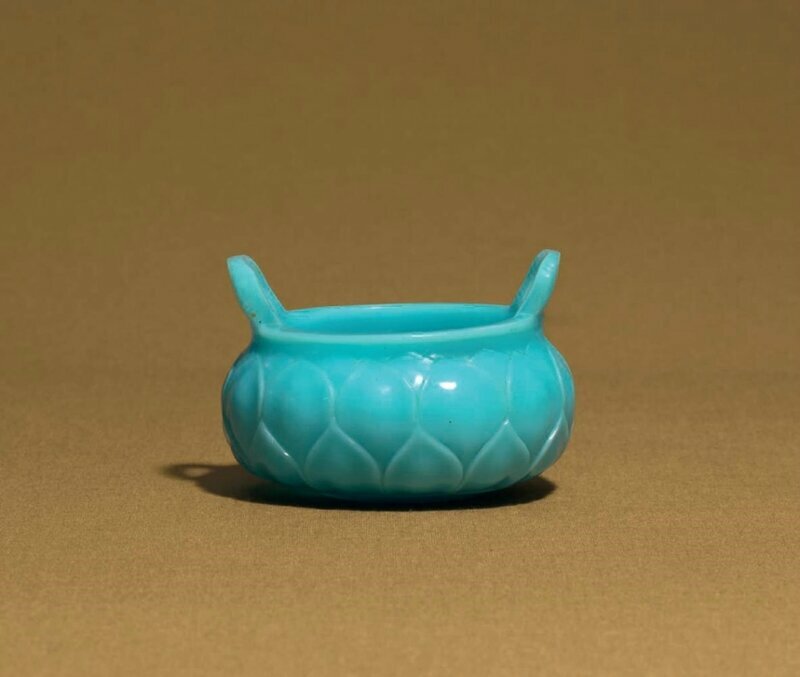 Ranging chronologically from ancient history to the present day, the objects often prompt questions, challenging the contemporary viewer to consider the assumptions that they bring to objects from other cultures, traditions or the more distant past. The display draws on material from across the breadth of the Museum’s collection including coins, medals, and prints. As well as highlighting famous figures such as the poetess Sappho, Hadrian and Antinous, the display looks beyond Europe’s past to explore less familiar themes and stories. 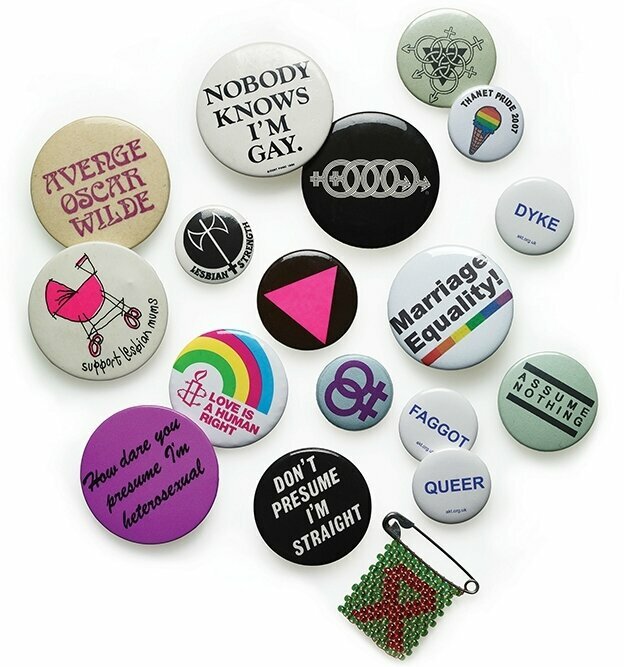 This display will include modern and contemporary works (such as Otsuka Takashi’s Drag Queen Deck) and a selection of LGBTQ campaign badges from the 1970s to the present day. A significant number of objects related to LGBTQ histories are already on permanent display in the British Museum’s galleries. The trail will help visitors to easily identify a selection of these objects and explore LGBQT histories in the Museum’s collection in more depth. The Warren Cup, silver stemmed drinking cup, Palestine, c. AD 10 © The Trustees of the British Museum. The trail is based around 14 key objects in the permanent galleries, allowing the LGBTQ aspects of these artefacts to be explored in their particular historical and cultural context. 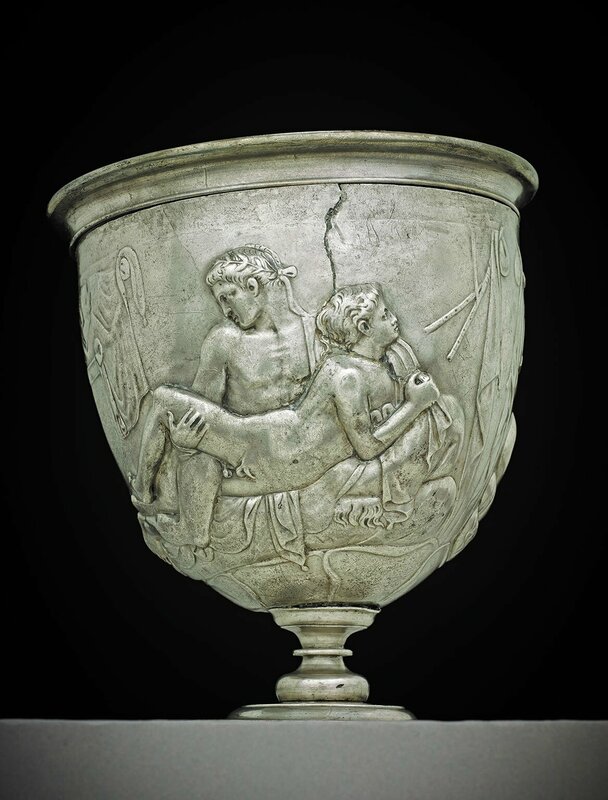 The trail will include collection highlights, objects such as the remarkable Warren Cup, a Roman silver drinking cup dating to around AD 10 decorated with scenes showing two pairs of male lovers. The Warren Cup was acquired by the Museum in 1999; its history provides a powerful illustration of changing attitudes to homosexuality. Additional interpretation will be integrated with the trail objects to allow each artefact to be explored more comprehensively. . When the exhibition ends, the temporary trail interpretation will be removed, but new permanent labels will be installed to ensure that the LGBTQ significance of the object is captured, creating a lasting legacy. The British Museum has longstanding relationships with LGBTQ organisations, and many individuals shared their expertise and experiences to help shape the final display and trail. David Hockney (b. 1937), In the dull village from the series Fourteen Poems by CP Cavafy. Etching, 1966. © David Hockney. Reproduced by permission of the artist.